Arsenal News 31 March 2012 | "It's all about the Arsenal"
Morning Gooners… It’s been a week since my last Arsenal news. It’s been a busy week for me. Looking back over the week. Arsenal ended up three points clear of Spurs after beating Villa convincingly 3-0… Spurs and Chelsea drew 0-0 and thus a three-point GAP opened up over Spuds and bigger GAP of 8 points was gained on Chelsea… Third place is now ours and only ours to give away. Nice also for the lads to have kept two clean sheets in a row. Being out of all the Cups means we are now devoid of mid-week matches and it’s like taking me back to the 70’s & 80’s when we seemed to play once a week at 3pm on Saturday’s. It seemed ages in between matches. However, in today’s football this gives our players a chance to rest and hopefully we can use this to our advantage for the remainder of the season. Man City drew 1-1 at Stoke RFC with the Lanky bog brush scoring a cracker of a goal for the Rugby club. Then on Monday night United beat Fulham 1-0 at Old Trafford to go three points clear of City and home in on their 20th title. I would say many of these have been won on the back of referee’s bottling it on decisions that matter (O0000 Controversial) But hey, come on we all know it… We’ve all seen it week in, week out over the last 20 years. Non-booking and red cards, players allowed to get away with mouthing off at refs, Manager pressure before and after matches, United use every trick in the book and GET AWAY with it and no one has the bottle to stand up to them, save in European matches. How Fulham were not given a penalty I don’t know? Takes you back to when we were challenging them and Gooners had to witness what was going on. Then it was Chelsea’s turn. Now it’s City’s turn. The one consistent is no matter who the challenging team is to United’s crown, United will get the rub of the green. My view. Patrick Vieira had now witnessed this as a player at Arsenal and as Football Development Executive of Man City. Spuds Beat Bolton 3-1 to set up an FA Cup Semi-Final with Chelsea at Wembley, with Everton meeting Liverpool in the other Semi… Now that is a weekend I am looking forward to. If Arsenal can keep up their form, then while Spuds & Chelsea play each other on the Sunday, Arsenal take on Wigan at home on the Monday and that could increase any GAP and seriously heap the pressure on both Chelsea and Spuds. I want third place guaranteed and if it means Spuds reaching the final and them taking their eye off the ball in search if a trophy, then all’s well by me. They can lose the final. The same night Chelsea win 1-0 in Lisbon at the Emirates stadium and now look likely to be in the Champions League Semi-Final. If they get there, then it looks likely that they will play Barcelona in two legs either side of our match with them on April 21st. Surely they are not going to be up for that, with such a massive couple of games either side. It has to be said once again the FA say they want success of English clubs in Europe and yet, do they? Chelsea v Spurs kicks off at 6pm on Sunday Evening due to ITV (all that is bad about football coverage in this country and Adrian Chiles) want it at that time. Never mind that the following Wednesday (72 hours later) Chelsea have a Champions League Semi-Final. You would think, like other countriess they would help Chelsea out here. However, what would expect from the powers that be in this Country. Liverpool and Everton who DO NOT have this problem yet play the day before (at 12.30pm another crazy time for 70k Scousers) as Liverpool have special dispensation not to play on April 15th. Why do Man Utd play on the date of the Munich Disaster? Arsene Wenger got a three match ban for questioning officials after our 4-0 defeat in Milan. So if his appeal fails (I reckon it’ll be reduced to two matches) he will once again start the champions League in a seat way up in the Gods surrounded by armed guards. Sad news about Stilian Petrov who has been diagnosed with leukaemia and I wish him all the best.Also great news about Fabrice Muamba who yesterday was sitting up in hospital and well on the mend. 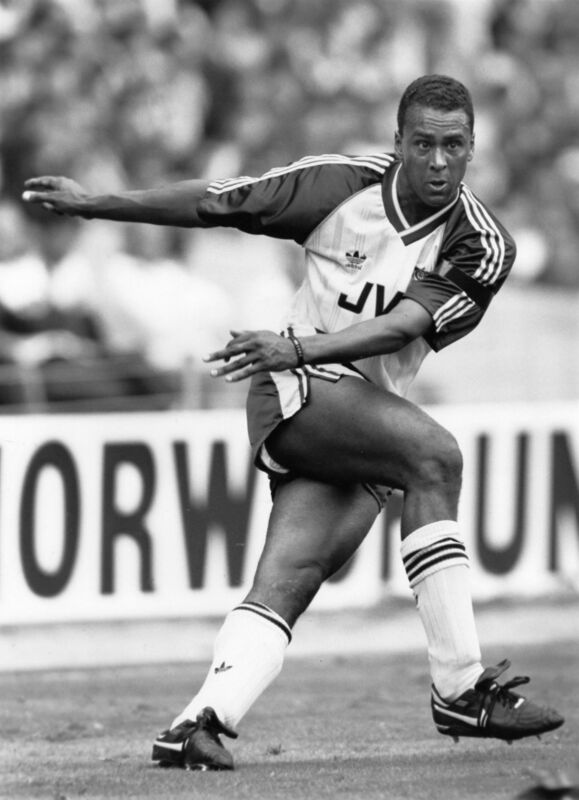 11 years ago we lost one of Arsenal’s favourite players Rocky Rocastle. So today we play QPR at Loftus Road… I’m going for a 2-0 win… Injuries have reduced for now. The team is looking solid. A weeks rest and the hunger seems to be instilled in the players to end the season with a great run. Laurent Koscielny could be back today. My POTS at Arsenal behind RVP. The man has been superb all season. Yes a few mistakes and two own goals, but overall has come on leaps and bounds. Sadly though there are some people who thought differently that would rather dig themselves a bigger hole than admit they were wrong. Come on Lads do us proud today..